The things you furnish your home with are ideally the ones which positively contribute to the joy of being in that space. With that in mind, we design our TVs to light up our rooms with colors and designs that reflect our personalities. For the Apple TV, HANNspree has combined product innovation and "360-degree design" to create a new and incomparable classic: the apple-themed Full-HD LCD TV. The perfect curves and stylish design of the HANNspree 28" apple-themed LCD TV shatters the idea that TVs do not enable distinctive design. The possibilities for stylish TVs exist, and the apple TV is proof. 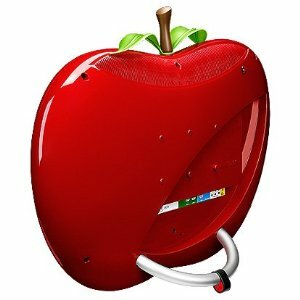 When you look at the HANNS apple closely; the apple profile, the perfectly scaled proportions, and mirror red and white finish will win you over. The clever touches in every little detail will further add to the love affair that is the experience of owning a HANNspree TV. The HANNspree Apple comes with market-leading specifications as well. Apart from 1080p Full HD high resolution, X-Contrast high-contrast technology, X-celerate super-fast response, perfectly proportioned widescreen design, removable base and wall-mount support, it offers the user a full range of connectivity options for HD/cable/free-to-air TV programming, Blu-Ray/DVD players, camcorders, VCRs, game consoles and computers. As everyone has their own distinctive style preferences, it's only natural that those style preferences extend into all aspects of an individuals home decor. We don't all choose the same color sofa's, or the same curtain's, right? So why should we all have the same television? HANNspree, always one step ahead, has designed a truly unique line of Novelty Televisions. Combining the very best in current technology with creative design, this collection of HD LCD Televisions allows for personal expression in every area of your home. 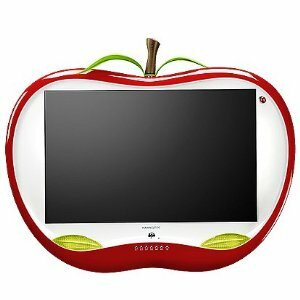 Perfect for family & children's rooms, the HANNspree 28" Apple Television (also available in a 55" model) not only displays a crystal clear 1080p picture, it's lifelike features (leaves, stem, ladybug detail's on the front and back, beveled frame, and brilliant red finish) will delight and charm all who enter your home. For the Sport's Fan, HANNspree offers several sport themed HD LCD TV's in their Novelty Collection; including a Basketball, Football, Soccer Ball, and Golf Ball (available in 55", 28", and 19" model choices). WOW, the Football enthusiast in your life with the HANNspree Football HD LCD TV (available in 55" & 28" models), the frame is finished with REAL football leather (see above video)! 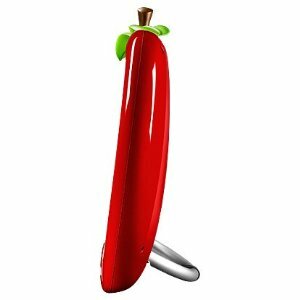 No matter which model you choose, this innovative line will surely add a touch of whimsy & creativity to any area of your home. Unique Design, IMPECCABLE Quality! HANNspree - My Style. My TV. Find your style! One LUCKY reader will receive a HANNspree 28" Apple 1080p HD LCD TV (RV $499!). i entered the orb radio giveaway. i entered the ableplanet extreme headphones.